I'm a web publisher from Belfast. In this article, you’ll discover how to create and run a self-sustaining Instagram ad sequence that converts followers into customers for as little as $5 per day. Handy list of online / app based logo creation tools. Useful reminder on all of the options available on Facebook. The Google Chrome Labs team has designed Squoosh to enable users to compress and reformat their pictures. This image compressor will reduce the file size of images. Identify the product's most important features. When you identify the important features, figure out each feature's benefits. One of those feature/benefits will be the compelling reason to make a purchase. Plenty of food for thought in this article from Li Jin and D'Arcy Coolican over on the Andreessen Horowitz blog 'a16z'. Here is a handy list of definitions and descriptions for common facebook ad terms. Love Aadam's approach to writing and his site physiqonomics is just brilliant. Your body is pretty good at regulating your body weight, and while it’s completely happy with you getting fat, it doesn’t take too well to you losing fat. This is why even when you’re being diligent with your calorie deficit you may find your fat loss has come to a standstill. Don’t worry though, I got you. Here are 8 reasons you’re not losing fat even when eating in a calorie deficit. Another useful guide from the Social Media Examiner. Facebook and Instagram lead generation ads are designed to deliver email addresses directly to your database. Unlike other ad types, lead ads include a contact form for people to fill out if they’re interested in your product or service. Facebook pre-populates the lead form with user information they already have. Because the ad does most of the work of filling in the data, users are more likely to complete the form, delivering you a new lead. 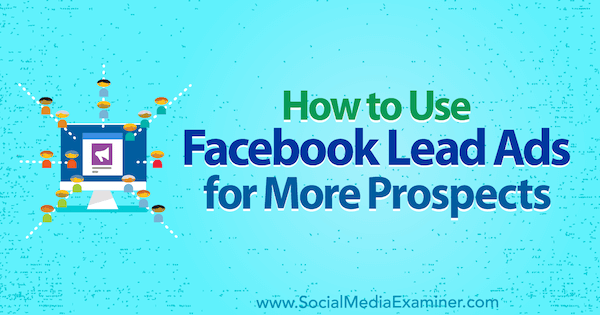 After leads are captured, Facebook lets you download them manually or you can connect to a CRM such as MailChimp or Salesforce.